When you have henna and have he urge to create, but no skin to create on, what do you do? 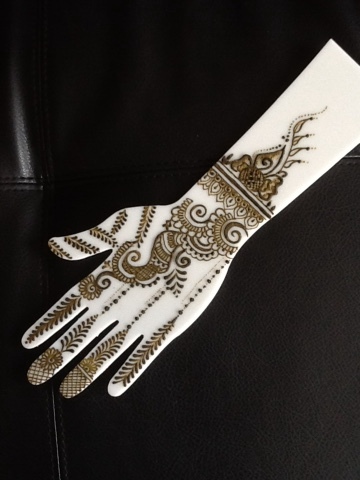 You use a plastic acrylic hand to practice your henna on. 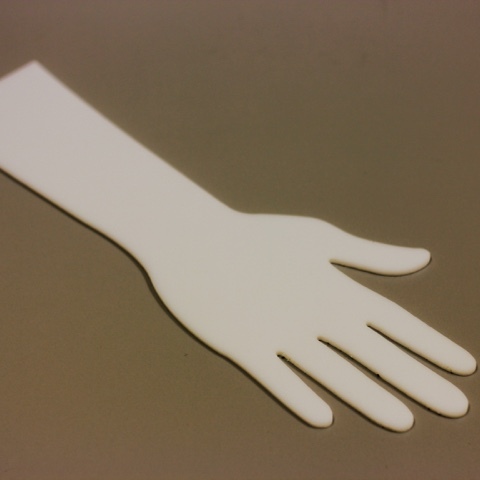 There are plenty of great things about the plastic hand template. First of all, it's reusable acrylic. 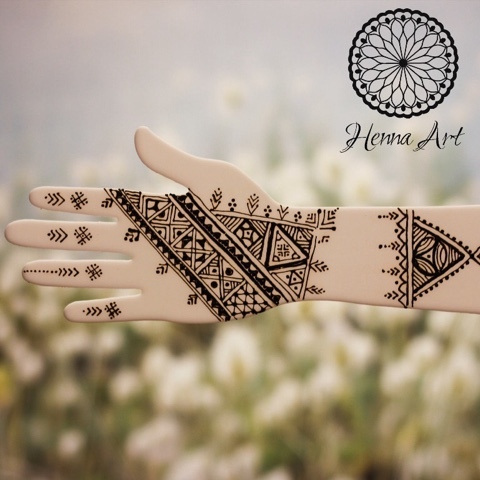 This means you can draw hundreds of designs with henna on the template and wipe it away for a clean slate. Secondly, the hand template is Life size. This means that during practice, you can actually lay out your elements on the hand to see how it would fit. Sometimes, a motif that gets drawn on paper will translate to be much larger, or smaller than what an artist anticipates. 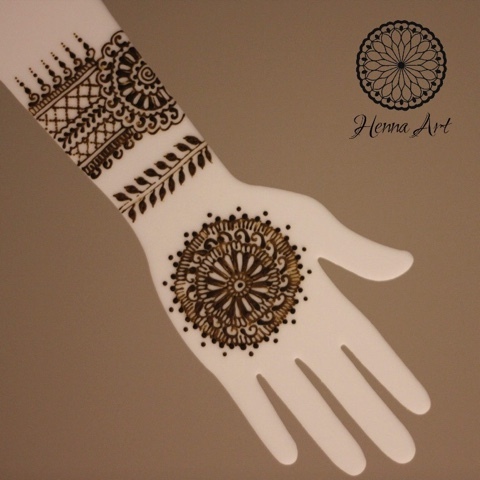 An acrylic template helps you figure out the actual size in henna so that the motif can be adjusted accordingly. An acrylic hand also lets you use up old henna paste for practice. 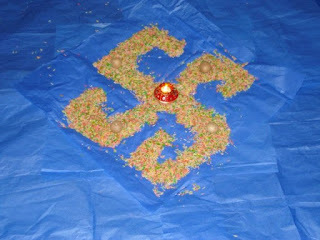 Since the hand does not move when placed on the table, you are able to practice dozens of designs on the hand. 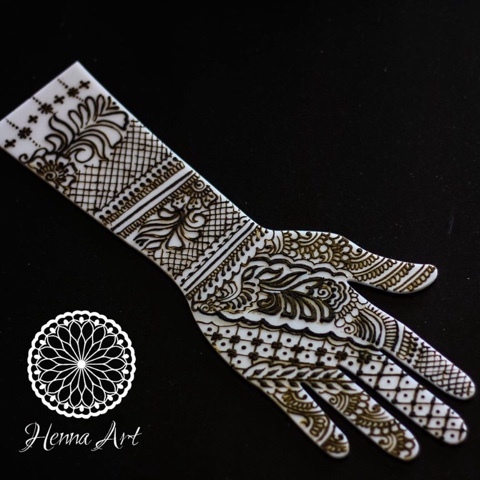 The acrylic hand also provides great opportunity to practice various techniques in henna body art, such as draping, shading, lines, vines, and much more. A fourth reason acrylic hands are awesome to have for henna practice is that they allow the perfect surface for testing paste consistency. Since paper absorbs liquid, the acrylic template lets you test the consistency of a fresh batch of henna paste to see if it's just right. If the paste is too runny (excess liquid) the design details will bleed together. If the paste is too thick (not enough liquid), the designs will be a challenge to work with. How to order? How much? What is the #?